Take your wall from blank to beautiful with unique artwork created by Minted’s community of independent artists and printed on removable mural panels that are easy to install with no experience required (we tested this at our studio with random members of the Minted team). The panels have a premium, matte look and are easily removable with no damage to walls. 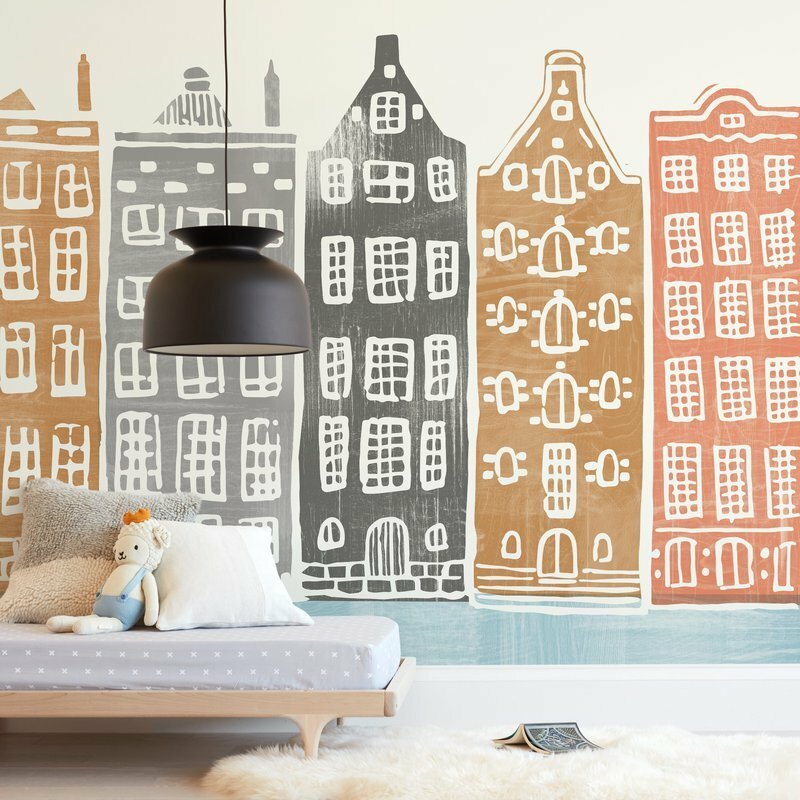 To apply, simply remove the backing, press the panels to the wall with your hands end to end so the design is seamless, and smooth out air bubbles with a credit card. Works best on smooth surfaces with gloss and satin paints—if your wall is highly textured, some texture may show through. Highly textured surfaces, direct sunlight, high humidity, and extreme temperatures may cause the mural to peel away from the wall. Allow recently painted walls to dry for 30 days for proper mural adhesion.